Katarzyna Kozera was commissioned to design multimedia exhibitions for 2 major American Jewish museums. More details on these projects later. From 2012 through 2014 Kozera, with her extensive experience, was responsible for creating and designing the multimedia part of the core exhibition at the POLIN Museum of the History of Polish Jews in Poland, one of the biggest projects of its kind. She participated in numerous interactive museum projects in Western Europe, including: The Discovery Center, Centennial Hall Upresing Silesian Museum in Swietochlowice; Stage Design Silesian Museum; Museum of the Second World War in Gdańsk and many others. She also recently started a Packaging Design Studio Company “NAOTOO,” www.naotoo-ny.com. Kozera’s designs at the POLIN Museum. 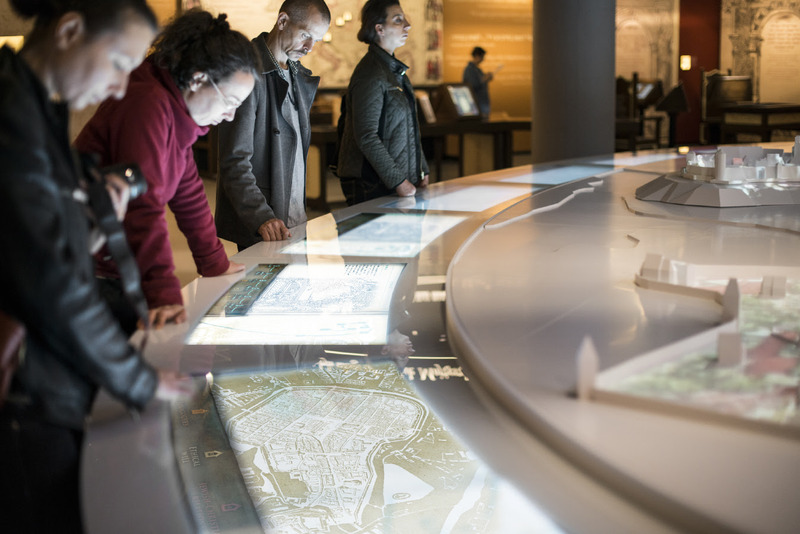 Kozera’s interactive displays at the Polin Museum.